Oh man, so many tragic love stories in this! Previously on The Four… catch up with episode 4 recap! Ye Er drinks the suspicious tea and makes a mad dash for the outhouse. The woman in white follows and soon after “Ye Er” returns, but it is Ye Er no more! In contrast to Leng Xue’s cold attitude (ha! Cold! ), Wu Qing is all warm and friendly, telling Li Mo that if she ever wants to go out she should let him know so he can send someone to protect her. Then, he suddenly gets all moody on her and says things about how being heartless is better than being too of heart as to avoid hurt; in fact it is best to just pull the “heart” from its root. Yikes! After he finishes reminscing about the past (aka his lover girl), Wu Qing asks Leng Xue to be nicer to Li Mo. Then they join Zhu Ge in a discussion about the murders. Once again, they reiterate the unlikelihood of the bats being the culprit. OMG, I thought we were done with that like eons ago!!! That night, fake Ye Er flies into the bad people tower to meet with ASG. She must be related to Superman because she changed her whole outfit (and her face) with the wave of her hand. 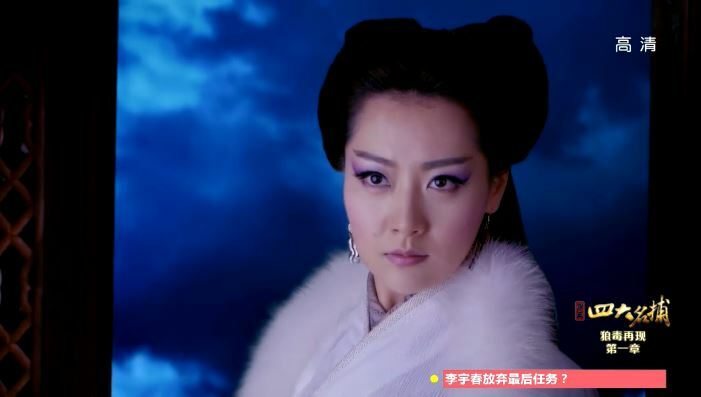 Turns out she is the Nine Tailed Fox (aka the murderer of all those people) and she is working for ASG in exchange for the cure to her husband’s illness. ASG hands her the lantern thingy that lights up whenever near the wolf prince and commands her to find out who it is. He also gives her a temporary cure that extends the life of her husband for seven days, during which she must complete her end of the bargain. After she departs the tower, she drops the fur and changes into normal people clothing to visit her husband. She tells her husband that he rescued her from the life of sin because all she did before was kill people. Uh, girl, I don’t know what you think you have been doing this whole time? Anyway, he tells her to leave him since he is dying, but she insists that she will find a cure for him. Yes, yes, you will, through doing exactly what he doesn’t want you to do! The next day, Hua Jiao comes by in a fur wrap with a pot of soup and a scarf for Zhu Ge. The Fox comes in, sees the wrap and drops the soup. This brings Zhu Ge’s attention to the wrap and he has an ah-ha moment! Apparently there is a house of martial arts that adopts ten year old girls and teaches them to become fox handlers. In the process, the girls also learn a special technique that requires the implantation of nine “tails” made out of deer tendon and fox fur. These “tails” grow inside their bodies and become a part them. If any of their tails are cut, then they will also die. To avoid this from happening these girls are forbidden from falling in love. The Fox returns to the tower to claim the medicine for her husband since she figured out that Leng Xue is the wolf prince. ASG tells her that in order to produce the cure he needs Leng Xue’s blood. He gives her a blood sucking jar and also a perfume that helps to cover her animal scent before sending her on her way. I feel like she is getting used; this medicine probably doesn’t even exist! That night, Li Mo gets caught by Chun Ping when she tries to get her pendant back. In exchange for not kicking her out, Li Mo is charged with stealing a piece of Leng Xue’s clothing. Just as she thinks she snuck in without Leng Xue seeing her, she hears his voice calling her to come in. Turns out he has mistaken her for his male servant who is due to give him a massage. Uh-oh. Li Mo: Uh, my stomach hurts, I’m going to go to the bathroom. Leng Xue: Didn’t you just go? Li Mo: I haven’t pooped it all out. Leng Xue: Then just hold it. Come here and give me some comfort first. She walks to him, determined to tell him the truth, but he has his eyes closed so he hasn’t realized it’s her! Leng Xue: What are you doing, walking in circles around me? Leng Xue: Alright then, let’s do it. Should I take off my clothes? Li Mo: No, no, no! Leng Xue: Massage… go lower, and lower. Hey young guy, why are you so shy? Use more force! Faced with the pressure to hit him harder, she picks up a stick and starts slapping his back. Leng Xue is happy with the result, so while he is enjoying it, she reaches over and picks up one of his garments. As she is stuffing his clothing into her shirt, he turns around to inquire what she used to work out the long time knot in his back and finally spots her! Leng Xue: What are you doing in my room? Li Mo: I heard someone calling when I walked by… uh if you don’t need anything I’m going to go now. Leng Xue: What are you holding on to? Li Mo: Huh? What? Nothing. Meanwhile, a maid brings over Chun Ping and several other maids because she overheard Li Mo conversing with Leng Xue in his room. The group properly misunderstands the interactions, if you know what I mean. Leng Xue: Take it off! Li Mo: No! You are hurting me! Leng Xue: If you don’t take it off, more hurt is coming right up. Li Mo: Then come get it yourself! Things get worse when Ji Yao Hua & co. as well as Wu Qing all show up. Meanwhile, Leng Xue uses his sword to cut open her outer shirt and his garment (apparently it’s a handkerchief?) drops to the ground. She forgoes the item and dashes out, but gets surrounded by the maids. She tries to explain the situation to Wu Qing, but ends up just walking away in anger. After everyone leaves, Wu Qing enters Leng Xue’s room to see the clothing on the ground and inquires as to what really transpired, but Leng Xue doesn’t explain. However, things get worse for Li Mo as she receives unfair treatment from the maids and Chun Ping. First, she has to do all the laundry in 2 hours or else she gets nothing for dinner. Of course, she doesn’t finish, but Wu Qing brings her food anyway! Awwww, he is so sweet! She also takes this opportunity to complain about Leng Xue. The next day Li Mo is charged with sweeping the entire lobby by herself in a limited time span or else she gets no food again. It seems like she is about to make it when two maids come by to screw her over. One of them blows on the incense which keeps time and the other dumps dust on the ground to dirty the floor again. 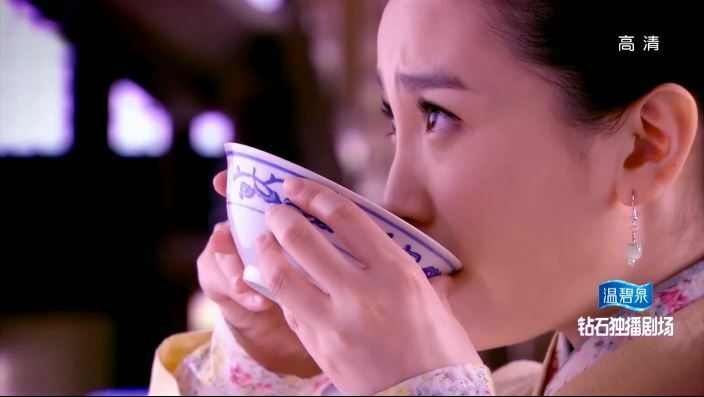 Chun Ping rushes over promptly to scold Li Mo, but Wu Qing relights the incense from a distance and saves her from punishments. can’t do anything when wu qing is around! The real Ye Er is chained to the wall of some jail cell. 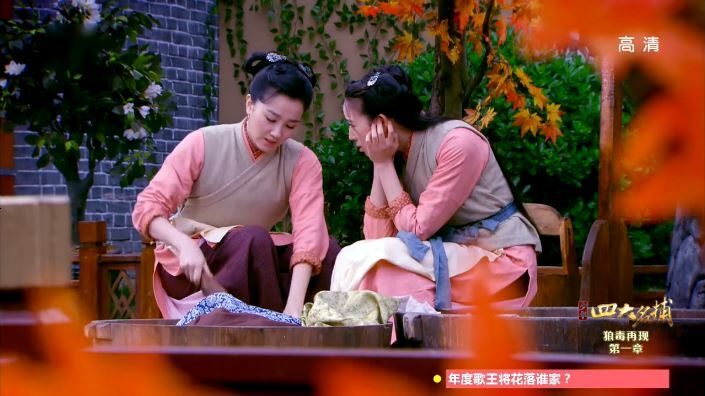 Leng Xue sees Li Mo with a giant wooden bowl, but doesn’t help her. She complains to Wu Qing about this. Wu Qing asks Leng Xue to help Li Mo out, but Leng Xue refuses. The reason? Leng Xue can smell the scent of a fox on Li Mo. Oh no! And so the misunderstanding deepens.